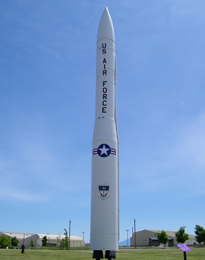 Two integral components of the Minuteman missile force are the missile maintenance teams that keep the missiles and the entire weapon system up and ready to launch at a moments notice, and the security forces that provide security for the entire weapon system of the Minuteman missile and its myriad of support teams. In the image above one can see a security convoy that is escorting a Payload Transporter. 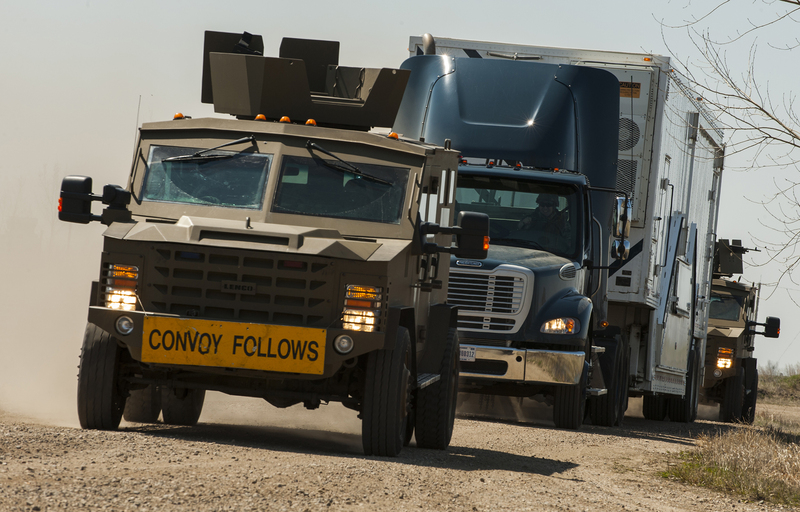 The Payload Transporter is essential in transporting critical weapon components to and from the missile wing base, and/or the Launch Facility. This is one of the numerous maintenance tasks that the missile maintenance crews are tasked with. The missile security force team is also an important aspect of providing support to the maintenance teams. Based on the layout of having two BearCats (possibly more) escorting the Payload Transporter indicates that the Payload Transporter had a critical weapons component inside, possibly a missile guidance system, warhead, or other critical component that necessitates a maximum security presence. This section of the website will discuss both the functions of the maintenance teams and what their work entails, as well as the security forces, and what the scope of their responsibilities consist of. Follow the links below for further discussion on these two topics.